These Savings Incentive Program recipients enrolled in the program in 2013 and graduated in 2015. Narad Bastola grows vegetables with his wife, Goma, and daughter, Tika, at Global Greens Farm, operated by Lutheran Services of Iowa (LSI) in West Des Moines. Narad and Goma were born in Bhutan where they made a living growing ginger, cardamom, oranges, rice, millet, corn and vegetables on 18 acres, exporting the ginger, cardamom and oranges to India. 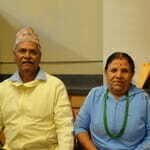 They came to the United States in 2009, after living in a Nepalese refugee camp for 18 years, and grew produce for two years in a community garden run by LSI before transitioning to Global Greens Farm, where they raise vegetables for an American market as well as cultural crops from Bhutan. They hope to scale up their production, as well as add fruits, goats and chickens. With their savings match, they would like to purchase land of their own, a tractor or other tools to help them expand. 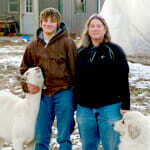 Deb Draper operates Windy Hills Farm and Produce near Eddysville with her son, Ean, raising fruit, vegetables, flowers, dairy goats, poultry, nursery stock and Great Pyrenees, which are sold as livestock guardian dogs. 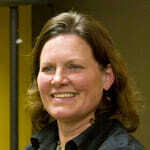 Deb has a background in commercial horticulture and has worked in the landscape and nursery businesses. 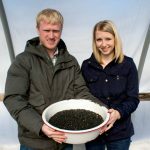 She and Ean recently installed a 30-by-72-foot drop-side high tunnel so they can expand their production area, specializing in heirloom varieties, asparagus, garlic, blackberries, aronia berries, strawberries and a variety of fruit trees. Future plans include expanding local marketing efforts to include schools, restaurants, CSAs and farmers markets, and exploring value-added goat milk products like cheese and soap. With their savings match, they would like to purchase a tractor, cold storage or specialized milking equipment. Darin and Arlene Enderton run Apples on the Avenue Orchard near Nashua, where they manage 250 apple trees and a smaller number of other fruit trees on 11 acres. They have a crop-share agreement with the landowner, who has purchased pruning equipment, an orchard tractor and sprayer to help them renovate and manage the orchard. 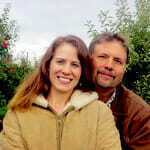 Currently, Darin and Arlene grow 25 unique apple varieties, which they have sold at an on-farm stand and marketed through farmers markets, schools and fruit stands at local fairs. They hope to eventually purchase the orchard, expand the business into a U-pick destination and press their own cider. Future goals also include planting cold-hardy peach trees to extend their marketing season; diversifying apple varieties in open areas; and adding pumpkins, raspberries and wildflowers for bee habitat and flower bouquets. With their savings match, they plan to purchase a commercial-grade cider pressing line, including the cloth press, pasteurization equipment and bulk tanks. Janna Feldman raises dairy sheep and goats at Doe’s and Diva’s Dairy, Inc., a 10-acre farm near Honey Creek that she operates with her husband, Thomas, and son Matthew. Currently, they turn all their goat milk into soap, which is sold at a variety of retail locations in western Iowa and Omaha, at farmers markets and online – but their goal is to start producing goat- and sheep-milk cheeses. Once this portion of the business is up and running, it will be one of the first sheep-and-goat dairies in the state of Iowa. 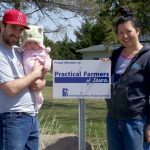 Janna and Thomas built a dairy processing building on their farm in 2012, and the state has certified their milking parlor. They plan to sell their cheese at farmers markets and to high-end restaurants, wine shops and local wineries. With their savings match, they will purchase either a bulk tank for dairy processing or another line of breeding rams. Mukiza Gahetano was born in Burundi and grew up farming in the Congo and later in a Tanzanian refugee camp. 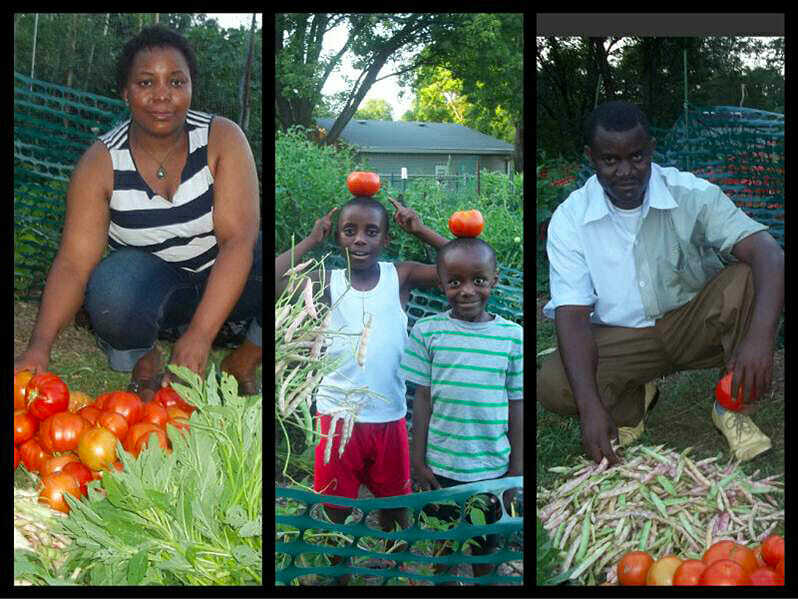 He came to Iowa in 2009 and started raising vegetables with his wife, Jacqueline Ndabazaniye, on a small plot in Des Moines through Lutheran Services of Iowa, scaling up in 2013 to a 50-by-50-foot plot. He will soon transition to a half-acre plot at Global Greens Farm, operated by Lutheran Services in West Des Moines, and dreams of someday farming full-time. 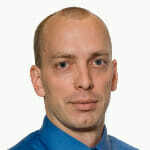 His future goals include owning his own farm and raising cattle, goats and chickens. With his savings match, he would like to invest in land, a tractor or tools. 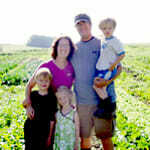 Jason Grimm farms with his father, grandfather and wife, Hannah, at Grimm Family Farm near Coralville. On the 125-acre farm they manage a cow-calf herd and beef cattle, and grow corn, silage, oats and hay for feedstock. Each year, Jason has been taking on a larger role on the farm and over the last three years he has also started to build his own farm enterprises. Currently, he has 1 acre of produce, 4 acres of black turtle beans and 300 broiler chickens that he markets through retailers such as the Iowa Valley Food Co-op and New Pioneer Co-op, and direct-to-consumer. As he transitions into a bigger management role on the farm, Jason hopes to add new products and sustainable agriculture practices to the farm’s portfolio, and to increase the farm’s profitability so it can become the major income stream for his family. With his savings match, he wants to purchase either an edible bean combine or seed cleaning equipment. Chad Hensley, of Big Creek Farms in Lamoni, raises produce and cut flowers with his wife, Katie, on 1 acre that includes a 20-by-43-foot high tunnel. On the produce side, they specialize in heirloom, open-pollinated and specialty crops – primarily tomatoes. Both produce and cut flowers are marketed to local restaurants and flower shops, individuals and at farmers markets in Lamoni, Des Moines and Lee’s Summit, Mo. 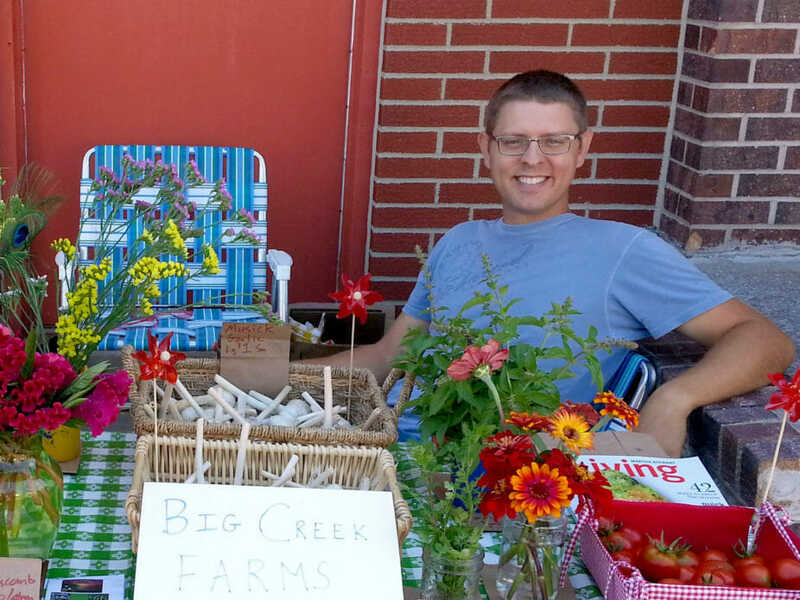 In 2014, Chad and Katie plan to establish a floral CSA that will market to larger metro areas. Longer-term goals include making their own salsas, pesto and hummus from locally-grown ingredients; planting an orchard; and adding pastured broilers, beef, pork and rabbits. They also want to work with local growers to develop a cooperative for marketing and infrastructure. 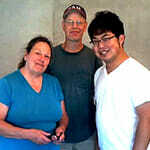 With their savings match, they would like to build a tool shed with a walk-in cooler and wash plant. David and Annette Hill raise conventional corn, soybeans and hay near Holy Cross in Dubuque County on land that had been in Annette’s family. 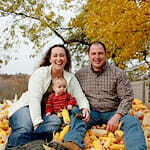 After renting Annette’s family farm for two years, they recently were able to purchase the land. They plan to expand the operation to include a hormone- and antibiotic-free beef finishing enterprise, direct-marketing the product. Longer-term goals include building a strong enough customer base so David can farm full-time and converting the row crop ground to organic production. With their savings match, they plan to invest in facilities for raising and finishing beef. Phillip and Missy Jensen raise row crops, cut flowers, eggs, red wattle hogs and produce for a CSA at Prairie Whole Farm, a Century Farm near Ida Grove that has been in Missy’s family. 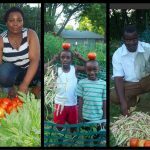 Their CSA, which they started in 2012, currently serves 20 members. Farm goals include scaling their CSA up to 50 members and developing an internship or apprenticeship summer program that would blend farm work with a reading or seminar component exploring the intersection between theology and farming. They also want to significantly expand their herd of red wattle hogs – which are currently direct-marketed for breeding stock, feeders and pork – so they can sell through Niman Ranch. 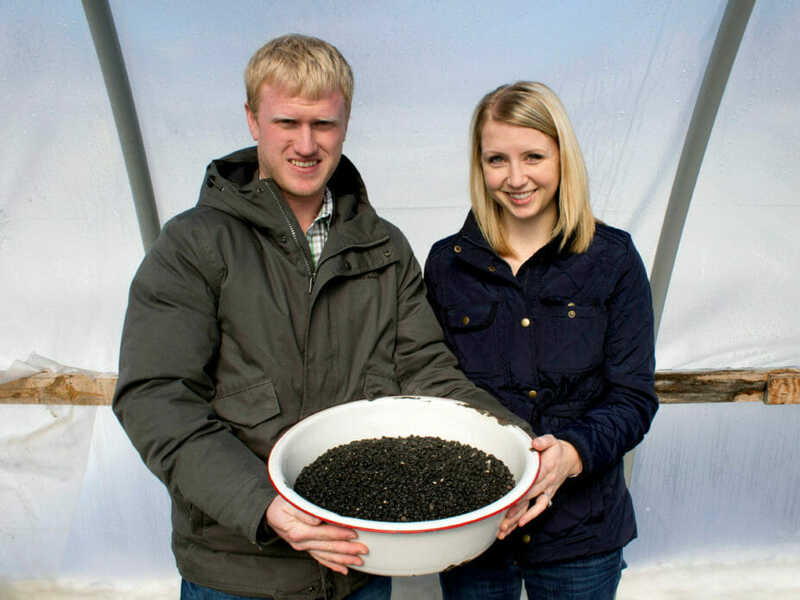 With their savings match, Phillip and Missy want to invest in a greenhouse for their CSA. 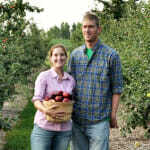 Marcus and Emma Johnson, of Buffalo Ridge Orchard, farm with Emma’s parents growing a variety of vegetables and managing an apple and pear orchard on 80 acres near Central City. Over the past three years the orchard has expanded from 800 trees to more than 3,000, which include more than 50 apple varieties. Two moveable high tunnels installed since 2011 allow Marcus and Emma to extend their growing season. All produce is sold at area farmers markets, online through the Iowa Valley Food Co-op and to a number of institutional customers. Future farm goals include opening a small farm stand on the farm property itself, expanding their customer base and finding new local markets for their produce. 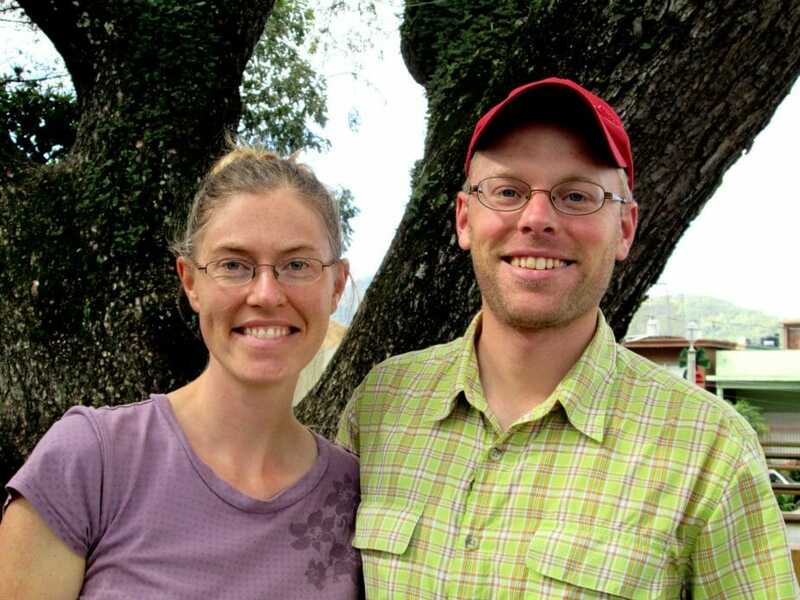 To achieve this, Marcus and Emma plan to add more infrastructure, labor and equipment, and to continue expanding their vegetable and orchard plantings. With their savings match, they would like to upgrade their facilities or purchase equipment such as a cider press, industrial food dehydrator or other tools that will aid their expansion plans. Wendy Johnson farms with her husband, John Rafkin, and father at Center View Farms Co. near Charles City, raising conventional corn and soybeans, hay, sheep and goats on 1,000 owned and 200 rented acres. Mentored by her father, she has been learning the business and slowly taking on new responsibilities, currently managing the sheep herd and 70 acres of hay ground. Farm goals over the next three years include adding small grains, organic chickens, grass-fed cattle, additional pasture and more goats for organic milk. Longer-term, she wants to make the operation more sustainable by reducing inputs, increasing cover crop use, improving soil health and eventually transitioning some of the land to organic production. She also wants to convert farm buildings and machinery to run on green energy sources. With her savings match, she would like to purchase either breeding livestock or a small-grain drill. 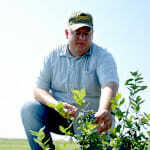 Jason Kerr operates Kerr’s Berry Farm near DeWitt, where he runs a pick-your-own blueberry business and grows row crops on another 17 rented acres that he intends to manage with a diverse rotation including hay and small grains. Jason grew up on a farm, and after returning from serving in Iraq, knew he also wanted to farm. He saw a niche market opportunity in blueberries, and worked for a couple of years to amend his soil to the proper pH and establish his plants. 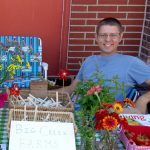 He currently has 800 blueberry plants consisting of three varieties chosen for their appeal to the pick-your-own market and ability to extend the growing season, and plans to open to the public in 2014. Farm goals over the next three years include expanding his row-crop operation and increasing his berry enterprise to more than 1,000 plants, with an ultimate goal of someday farming full-time. 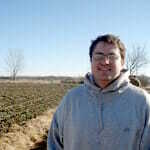 With his savings match, he hopes to invest in a planter and tillage and irrigation equipment. Photo courtesy of Tim Hoskins, reporter with Iowa Farmer Today. Tyler Magnuson and Caitie Caughey raise vegetables, herbs, cut flowers and poultry at Botna Burrow, the farm they are establishing on 10 rented acres near Hancock. They aspire to be a sustainable and biodiverse farm that incorporates animals, perennials and native plants into their farm system. Tyler and Caitie have formed a partnership with nearby Von Weihe Farms to run a collaborative CSA, though they intend to run their own winter CSA. Marketing plans include attending farmers markets in Omaha and Iowa and selling to local restaurants as well as wholesale. With their savings match, they are considering purchasing an Allis Chalmers tractor and electrical conversion kit, or investing in a larger greenhouse. Amber Miller raises pigs, chickens and goats, as well as row crops and hay, on 30 acres near Story City with her husband Kendel. While both came from farming families, they hadn’t been directly farming for several years until an opportunity arose to purchase a neighbor’s land. They raise Hereford pigs and are experimenting with different chicken breeds to see which will work best for their operation. Their goals are to expand the farm’s profits, sustainability and efficiency. 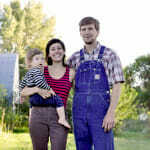 With their savings match, they might purchase a hoop building, fencing or a utility vehicle for the farm. Matt Roe raises strawberries, blueberries and nursery crops at Terraceberry Farm with his wife, Jocelyn, near Allerton, in Wayne County. He currently has 600 blueberry plants on about 1 acre and another acre of strawberries. Under the current farm arrangement, Matt has a five-year agreement with his father-in-law to work as a farm employee, after which he will completely take over the farm. Future goals include expanding the blueberries to 3 to 5 acres and adding apples, brambles, melons and honey. With his savings match, he is thinking of investing either in additional land or equipment such as a mulch wagon to spread sawdust on the blueberry rows. Teresa Stecker raises goats, chickens and cows at Teresa’s 4S Farm, near West Liberty. The goat enterprise is her main focus, consisting of a Kiko boar and Kiko-Boer-cross does. She markets the meat directly to the local Hispanic and African immigrant community. Over the next two years Teresa wants to expand her goat herd, with a focus on becoming more profitable while raising a quality product. She is excited about working with a mentor through the Savings Incentive Program and improving her knowledge of goat management. With her savings match, she hopes to purchase a small tractor. Tony Thompson plans to start a vegetable CSA near Elkhart on land that has been in the family for more than a century. He is currently working on refining a business plan he created while enrolled in The Farming Institute, a summer training program based in Solon, Iowa, targeted to beginning farmers interested in vegetable production. 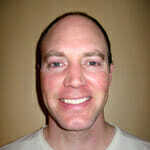 His goal is to get his farm established and make his first CSA deliveries by 2015. With his savings match, he anticipates investing in irrigation equipment, a greenhouse or high tunnel, or cultivation equipment. 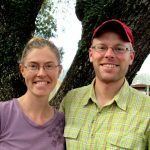 Rory Van Wyk is actively looking for land to establish RoLyn Acres, a grass-fed beef, pastured poultry and aquaponics farm that he will operate using permaculture principles with his wife, Lynette, near Ankeny. Raised on a small, diverse livestock farm near Manly, Iowa, he initially entered college intending to become an engineer, but realized how much he wanted to farm and switched to agriculture with an emphasis in animal science. In addition to working full-time as a firefighter, he has been interning since early 2013 on Cory Family Farm near Elkhart, which specializes in pastured poultry and grass-finished beef and lamb. 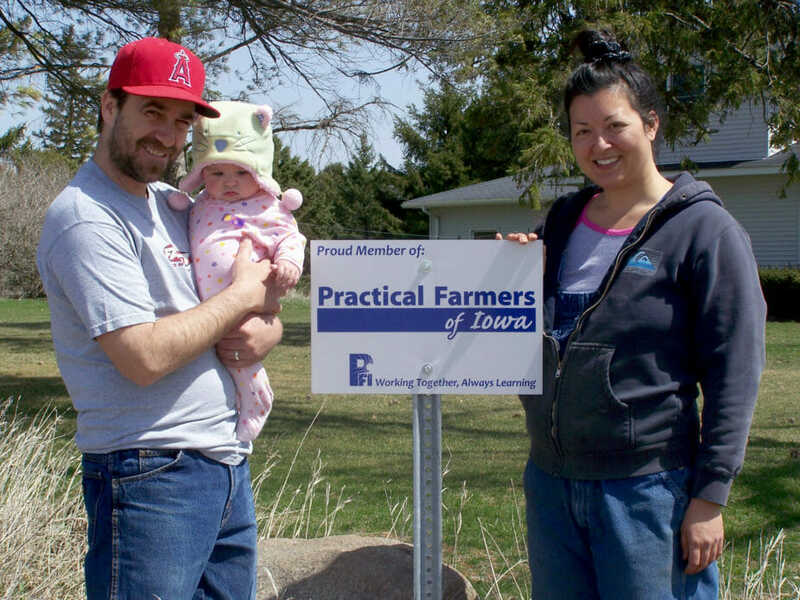 Rory is eager to learn how to write a strong business plan while enrolled in the Savings Incentive Program, and anticipates using his savings match to invest in livestock or equipment to get his farm started.